Living 15 minutes from downtown Salt Lake City, I have the pleasure of helping American Crafts/We R Memory Keepers with demos for the Sierra Pacific Mixed Media event each summer. 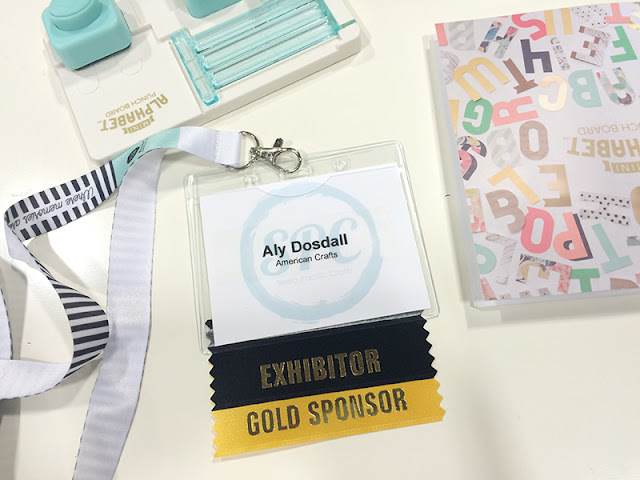 It's always fun to experience the energy of the trade show floor, see crafty friends, and show buyers just how awesome We R Memory Keepers tools are. Since most of you aren't going to experience all the fun in person, I thought you might like to see some SPC Trade Show photos. Here's a bird's eye view of the show floor. 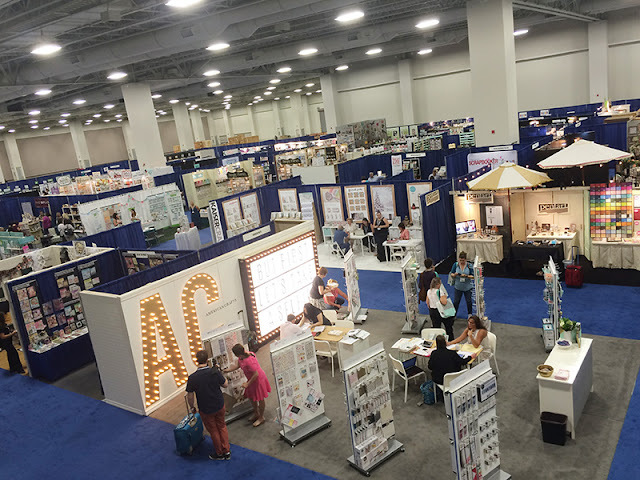 You can see the American Crafts booth in front there. 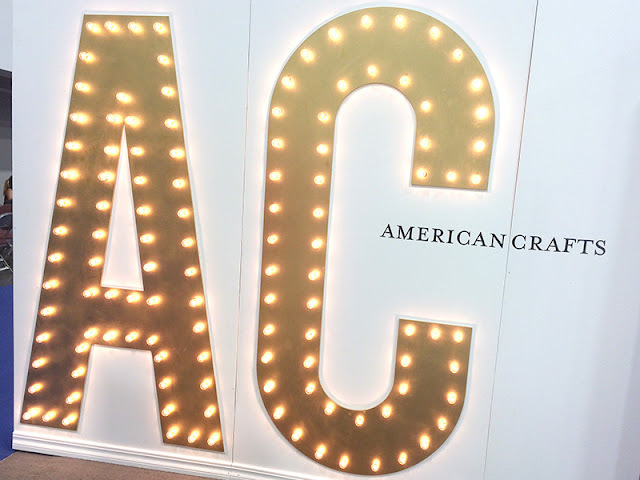 How cool are the giant marquee letters and light box? They've got Heidi Swapp written all over them. That woman is seriously amazing! Here's a head on shot of our booth. I stand at the dresser in front and demo the punch board. In fact, here's a little selfie of me on the job. Get it...but first let's take a selfie? Yeah. Okay friends, here's a photo of some of the We R goodies we brought to the show. Sneaky peeky! 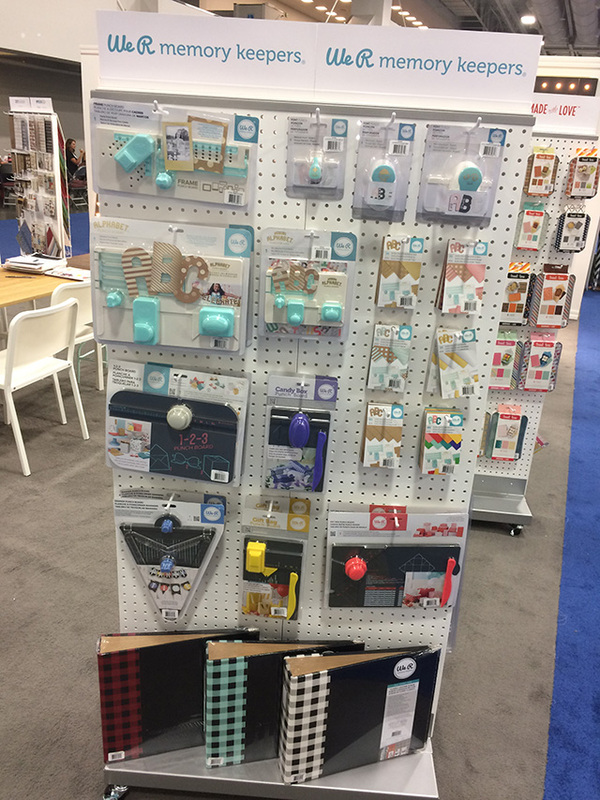 There's a lot more to share, so come back Friday and I'll have some more sneak peeks from American Crafts plus some of my other favorite manufacturers. See you then! 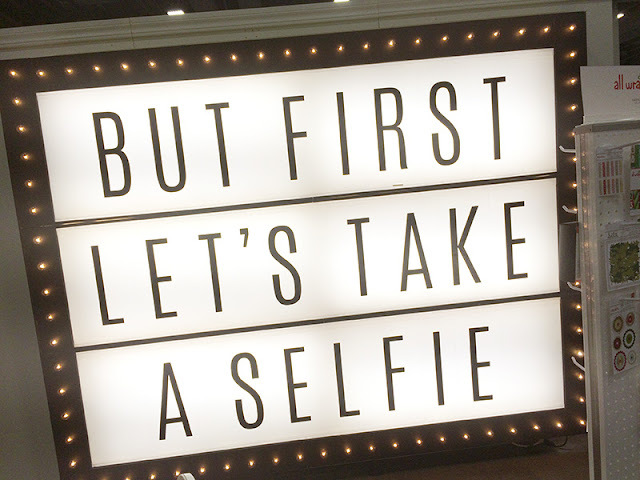 Cute Selfie, Aly! 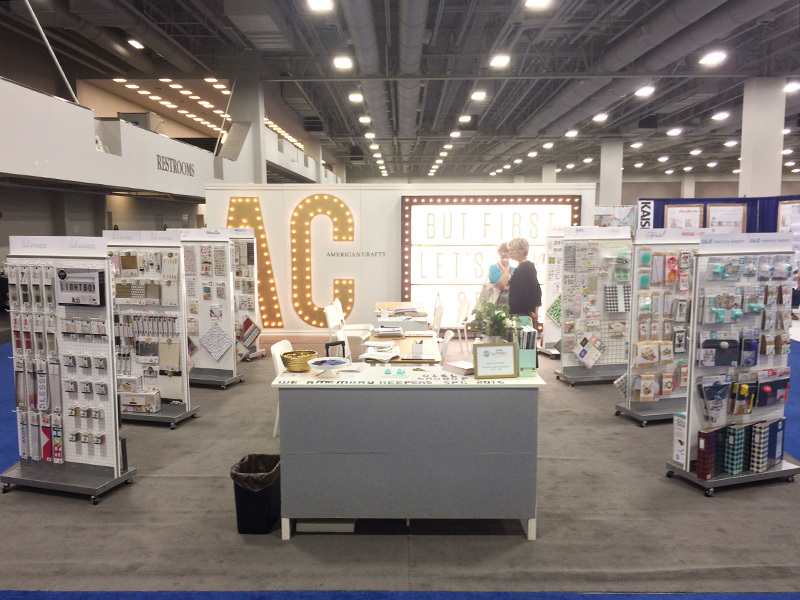 The AC booth looks great-what fun! The AC booth looks awesome! Love the selfie shot :) Thanks for sharing scenes from the show; can't wait to see more on Friday. So fun! Thanks for the peek! Wow the booth looks great!!! Love it! Thanks for bringing us with you! And thanks for the chance to win a new mini alpha punch board.